Buy Wholesale precision made Acrylic Beads in Australia. Choose Pony, Jug, Star, Facet, S'getti, Heart, Tri, Rondelle, Butterfly, Rosebud and Round Beads from a large range of colours and sizes. 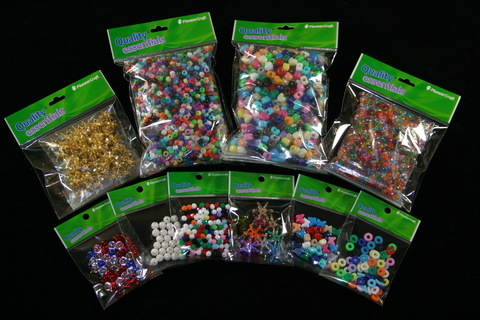 Acrylic beads are colourful and Kids will love using them!